Sailing network for the popularization of aviation knowledge, promote the spirit of the times and aviation culture, rich youth extracurricular life. May 21, organized by the Nanchang University of Aeronautics and Astronautics, Nanchang University of Science and Technology Education Base, Temple Innovation and Technology Co., Ltd., China Airlines Sui Chi Innovation Technology Co., Ltd., Nanchang City Youth Science and Technology Counselors Association hosted the Temple Experience Museum aviation culture science activities in Nanchang The University of Aeronautics and Astronautics is successfully held. Party secretary Guo Jiezhong, vice president of He Xing Road, Nanchang City Board of Education and the responsible person in charge of activities to attend the activities of the unit. The event attracted more than 700 primary school students and parents from China Southern Airlines, Nanda University. At nine o'clock, the Temple Museum Experience Hall and the popular science program of aviation culture began. Guo Jizhong announced the official experience of the Temple Museum, He Xing Road at the opening ceremony of the speech. 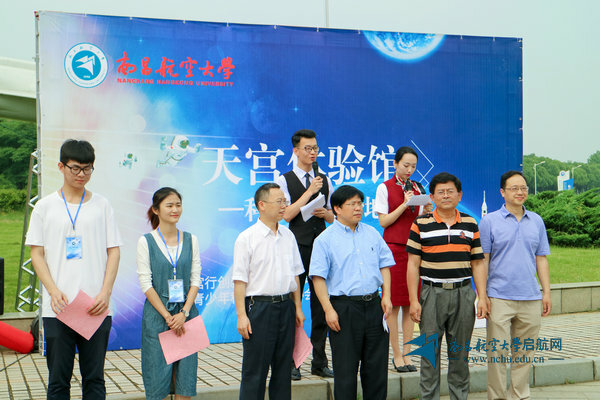 Huaxing Sui Chi Innovation Technology Co., Ltd. Tang Jiaxin, director of Temple Innovation Technology Co., Ltd. Xiongxuan and Nanchang Aviation University Science Education Base teacher Wang Qing, respectively, spoke.